As we celebrate 75 years of Fred Kent, Founder of Project for Public Spaces, we not only celebrate 50 years of big ideas that have overcome obstacles to better public spaces, but also the transformation of communities across the globe, and the broad-scale change in how people can participate in shaping places. Today, Fred is applying his community organizing skills to lead a global placemaking movement that is connecting and supporting public space innovators, advocates, and professionals across the globe. The movement has been fueled by a consistent flow of “transformative agendas” from Fred, which Project for Public Spaces has turned into direct support for communities looking for change. Informing, and grounding, these ideas, Fred has facilitated thousands of community-based projects that have demonstrated a new paradigm for shaping public spaces, including leading ongoing transformations of high profile places from Houston to Harvard Yard, Perth Cultural Centre to Downtown Detroit. Fred has made his passion for placemaking contagious with hundreds of keynotes, ranging from half a million at Earth Day 1990, to a room full of leaders at The World Bank. Perhaps his biggest impact is building the capacity of hundreds of local placemaking organizations, and city-wide placemkaing campaigns, and from Cape Town to Kuala Lumpur, San Diego to Mississauga. The foundations of the Placemaking movement, and of Project for Public Spaces, were built on a set of experiences that Fred had starting 50 years ago. In 1968, he founded a Street Academy (Academy for Black and Latin Education) for high school dropouts in what was once an abandoned building in Manhattan Valley. Michael Bloomberg was one of its early funders. In 1969, Fred led the planning for the first Earth Day in New York City, starting his career as a builder of movements. 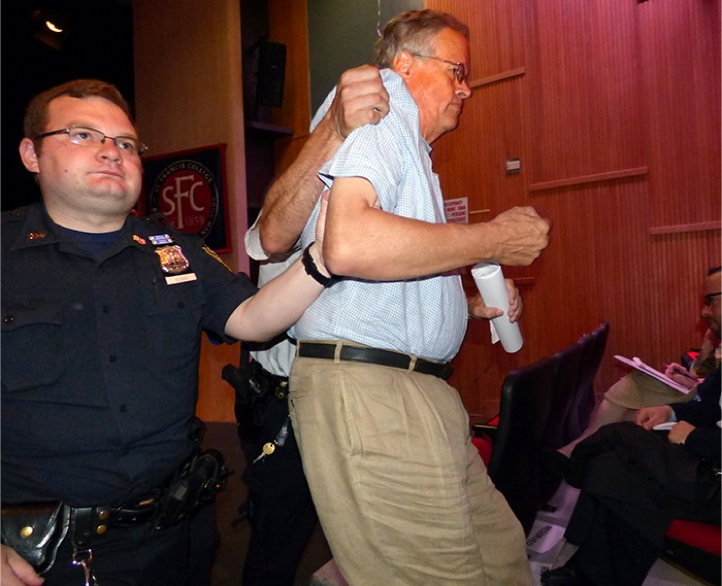 After leading the event that included closing 5th ave from Union Square to Central Park, he was brought in by NYC's Mayor Lindsay to lead the Mayor’s Council on the Environment. Working with the city in 1971, Fred led an early push for pedestrianization in NYC, promoting a "Red Zone " to get private cars out of Manhattan and 15-block Madison Avenue Mall, getting as far as a successful two-week trial closure. Above all else, Fred’s public spaces career was most powerfully shaped by William “Holly” Whyte, who would be 100 this fall. Whyte's humanist and user-centered views on public spaces would change them forever. With systematic observations of how people move and interact within a space, Whyte began a conversation around what makes a plaza or a park work for people, and what causes some to remain lifeless. After meeting Whyte during Earth Day, Fred worked closely with Whyte on his Street Life Project starting in 1972. Continuing to connect and ground the environmental movement in cities and streets for people, he was one of the founders of NYC's leading public space advocates Transportation Alternatives in 1973. During this time Fred got to know Jane Jacobs and also studied Geography and Economics at Columbia University, with mentors Margaret Mead, an anthropologist, and Barbara Ward, a pioneer for supporting the Global South with sustainable development. Fred founded Project for Public Spaces in 1975 to apply Whyte's findings and methodologies, with a $40,000 grant from the Rockefeller Family Foundation. On-the-ground work began in unused plazas like Rockefeller Center's (in exchange for our free office space there), sparking momentum toward spaces that invite people in rather then design them out. 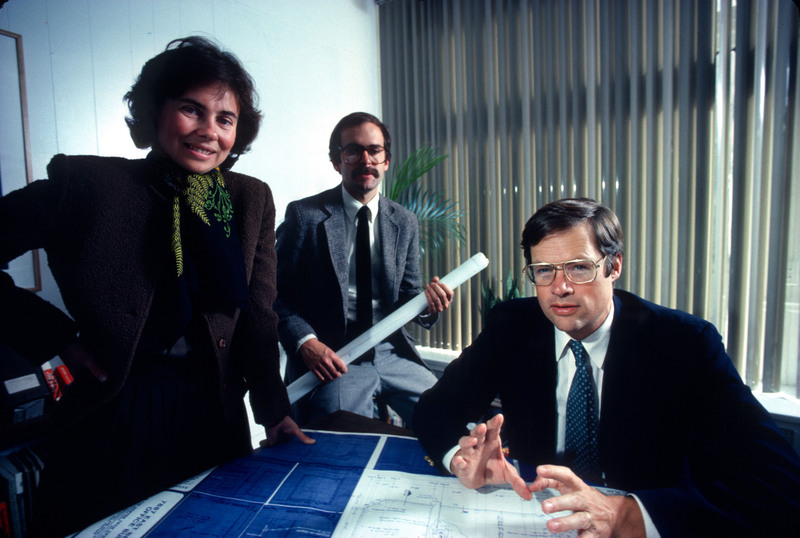 ‍Fred Kent, with Kathy Madden and Steve Davies, co-founders of PPS, posing for a friend's photography portfolio. Photo Credit: Scott McKiernan. Fred and PPS then began to look at public space management as a limiting factor for cities, and helped set up the world’s first downtown management organizations in places like Hartford and Denver. PPS then helped set up the National Main Street Center, with which PPS continues to collaborate to apply placemaking communities to rural communities. The Museum Mile project, propagated the idea of “cultural districts” and became an early example of what are now called open streets. Building on Fred’s passion for markets, and under the leadership of Steve Davies, PPS has also steadily grown a global movement around supporting Public Markets as local engines of community health, upward mobility and social integration. PPS has helped turn around hundreds of markets around the world, developed resources and grants to support markets in low-income neighborhoods, and created resources with the Ford Foundation. PPS has led nine international markets conferences, starting in Venice in 1985 and New Orleans in 1986, with the most recent taking place in Barcelona. In 1989, Bryant Park re-opened, following closely PPS's 1982 Study and Master Plan led by Fred. Guided by the words of William Whyte, PPS recommended the moveable chairs, food kiosks, and more open entrances that were added to the space, bringing life to the areas that even the drug dealers had identified as feeling unsafe. 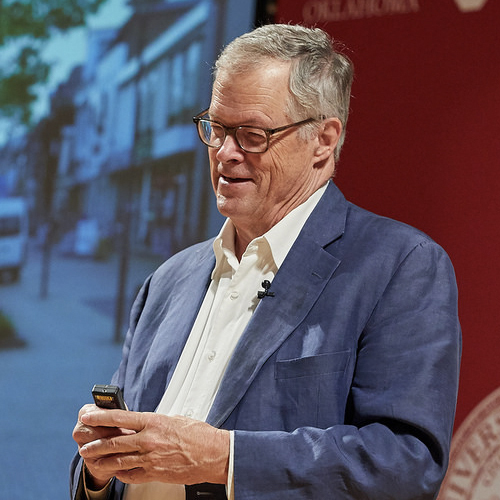 Fred has always been an outspoken advocate for what he calls the “Architecture of Place,” frequently talking to the New York Times about practices in the architecture and landscape design communities that take away from the true needs of people in public spaces. In other moments, he’s publicly called out architects for ignoring public space in their plans for “iconic” buildings. He has consistently challenged landscape architects to create “people places” with support from Landscape Architecture Magazine. In 1992, PPS began using placemaking as a force for democracy in Eastern Europe. Bringing the focus back to public spaces and public participation, communities across the Czech Republic were able to bring back festivals and markets to their streets, while PPS workshops in Serbia and Montenegro brought placemaking to a new audience. 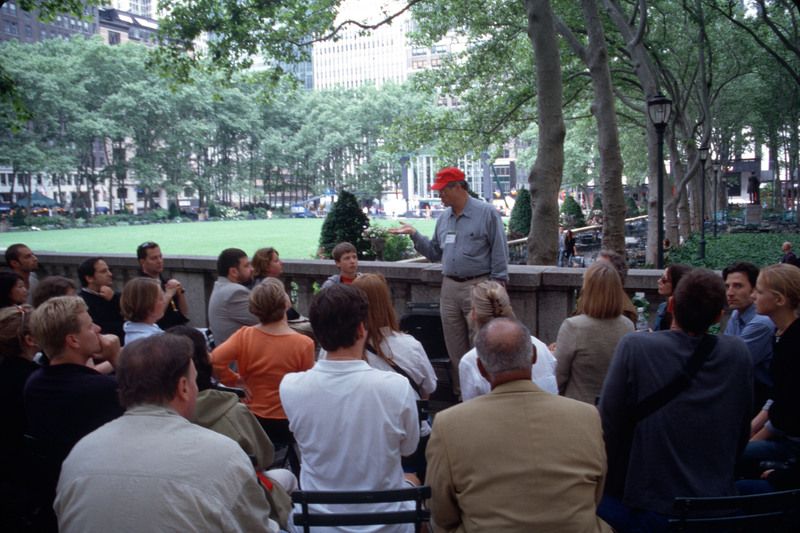 Working with the Wallace Foundation, in 1995 Fred and partner Kathy Madden were asked to launch an Urban Parks movement, developing resources and holding 11 conferences, including large gatherings held in Chicago, New York, and London. It was in the mid 1990s that Fred began shift his thinking from PPS as the expert to "The Community as the Expert" and the concept of “placemaking.” The idea of supporting people contributing to great places continues to drive the work of PPS, to this day. Turning the planning process “upside-down,” and rejecting the everyday norms of designing for appearances rather than for people, Fred and PPS brought attention to the revolutionary idea that people should have input in the places that they use. PPS emphasized the power of community from the start, beginning what would become a long legacy of transforming spaces to be built to the human scale. At the core of all of Fred’s work is the idea that the community is the expert. In 1999, How to Turn a Place Around was published, outlining a placemaking principles and process to improve public spaces centered on community participation. At a national level, under Fred's leadership PPS has had long-term programs to support the introduction of placemaking and place-led capacity building with several federal agencies including: a partnership with the Good Neighbor Program of the General Services Administration to improve federal public spaces, running the Context Sensitive Solutions online resource center for the Federal Highway-Administration, leading a “Livability Solutions” Smart Growth technical assistance program for the Environmental Protection Agency, and now coordinating the National Endowment for the Arts, and USDA's, Citizens’ Institute on Rural Design. In 2010, Fred introduced the phrase “Lighter, Quicker, Cheaper” as an accessible way encourage the iterative, action-oriented, and affordable approach of placemaking. This concept has helped bring about the wave of countless urban experiments in placemaking, with “quick wins” often making the case for larger projects that bring lasting, transformative change. ‍Fred Kent opening up Placemaking Week Amsterdam with 400 attendees from 47 countries. More recently, the focus on global urban policy has given PPS a great opportunity to promote placemaking as a path toward better cities. A 2011 partnership with UN-HABITAT led to the adoption of a resolution on public space. 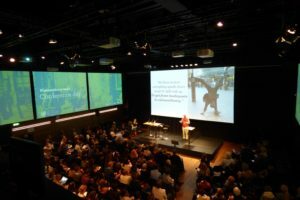 In 2013 Fred forged a partnership with UN Habitat and the Swedish Ax:Son Johnson Foundation to build a "Future of Places" campaign to get public space and Placemaking principles into the New Urban Agenda. A few years later, after gathering more that 1500 from 100 countries, the New Urban Agenda including 10 mentions of public space each reflecting the key messages from Future of Places gatherings. Habitat III included dozens of gatherings on placemaking, and recent gatherings in Nairobi have proven placemaking useful global platform on which to make the case for implementing the New Urban Agenda in developing cities. Where community foundations have long understood placemaking as an organizing principles for community-based philanthropy, PPS began to get larger philanthropists practicing Placemaking, with partnerships like the Southwest Airlines Heart of the Community program that launched in 2013, bringing innovative, community-led funding approached to placemaking. In the past two years, Fred has helped usher in collaboration with partners at the Brookings Institution, developing a joint program to examine how place and innovation can support each other, and inclusion outcomes, under the Bass Initiative on Innovation and Placemaking.